Thank you, Kevin Locke, for sharing your culture with us! 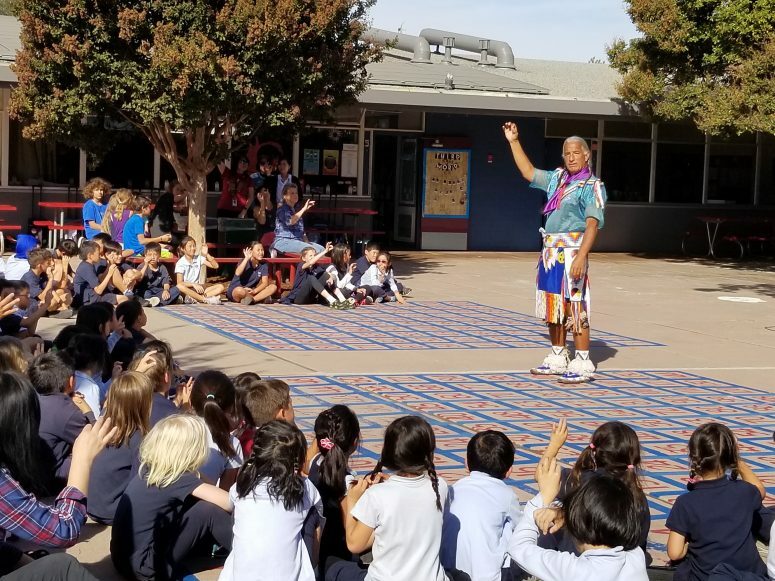 Elementary students were treated to an interactive performance of Native American stories, songs and an amazing Hoop of Life dance. 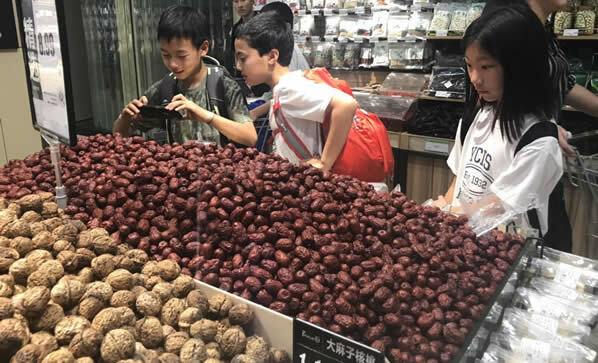 YCIS Silicon Valley middle schoolers were thrilled to experience dorm life, make new friends, attend class and enjoy sightseeing during their two-week visit to sister-school Yew Wah International Education School in Tongxiang. Connected via live video links, Yew Chung and Yew Wah international schools worldwide commemorated Founder’s Day as one big family! 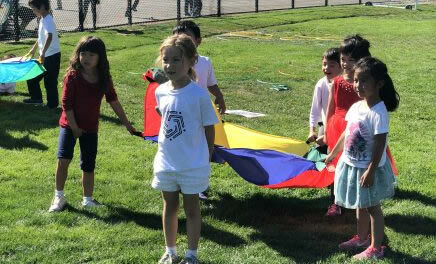 Students also enjoyed sports, games and birthday-themed activities to celebrate. 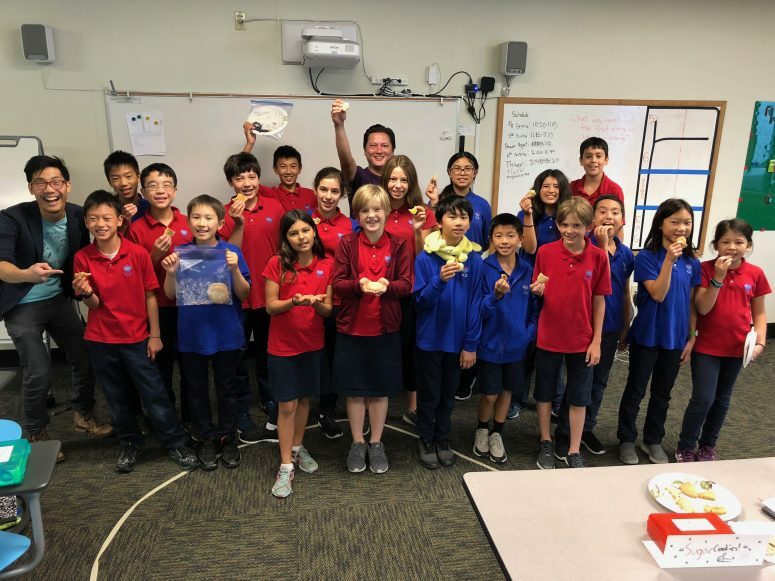 Thank you to award-winning author, chef and scientist, J. Kenji Lopez-Alt, for lending his culinary expertise to YCIS middle schoolers studying the science of baking. 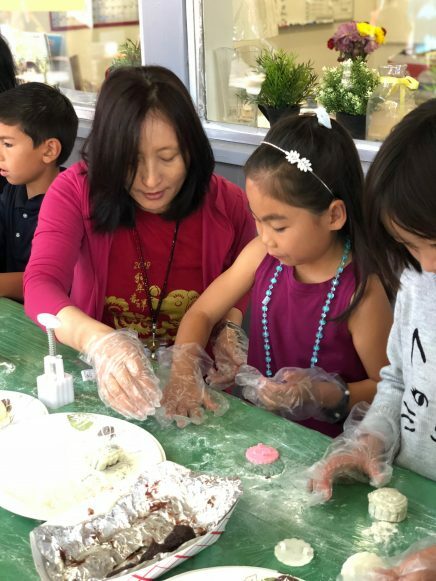 Games, treats and fellowship were enjoyed by all who attended the annual YCIS Mid-Autumn Moon Festival on September 22. Over 500 YCIS families, staff, alumni and friends gathered together to celebrate this 3,000 year old festival. Children’s picture book author, Christina Matula, visited elementary classrooms to share her story The Shadow in the Moon. She also talked about the writing process and answered many questions from her audience of budding writers! Check out the YCIS Christmas Tree! Did you see YCIS’s tree at the Mountain View Christmas Tree Walk? The tree featured animals around the world with hand-painted ornaments created by YCIS elementary students. YCIS Silicon Valley joined thousands of Yew Chung and Yew Wah students and staff across the globe celebrating 85 years on Founder’s Day 2017. A young audience at Mountain View Library’s Saturday story time was delighted by the YCIS middle schoolers’ bilingual puppet show on the go.